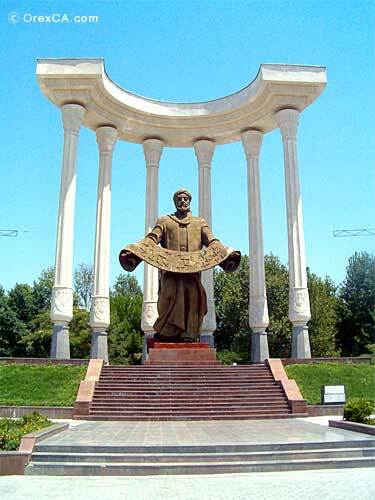 If Samarkand is known as a "Pearl of the East", Fergana is famous as a "Pearl of Uzbekistan". Famous for its beautiful landscapes and ancient history, Fergana located in eastern Uzbekistan, on the southern edge of the Fergana Valley. 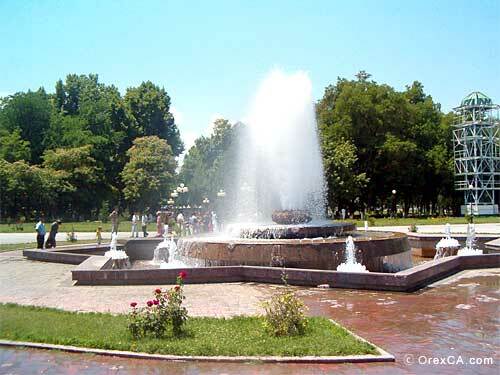 Fergana is about 420 km east of Tashkent, the capital of Uzbekistan, and about 75 km west of Andijan. 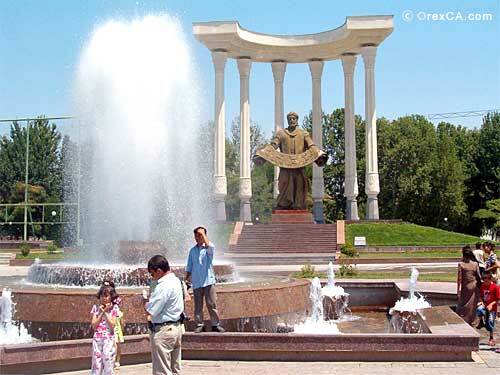 Ferghana City is the administrative centre of Ferghana region. Its territory is 70 square km and the population is 230,000 people. The Fergana region is located in the southern part of the Fergana Valley, bounded by Tyan-Shan mountains along the Syrdarya river, the main water supplier of the region. Covering 6,800 sq.km (1,6% of Uzbekistan's territory), Fergana region borders Kyrgyzstan to the east, Tajikistan to the south, and the Andijan and Namangan regions to the west. The region has an ethnically diverse population of 1,5 million, 10% of Uzbekistan's population. Fergana has been the center of oil production in the Fergana Valley since the region's first oil refinery was built near the city in 1908. Since then, more refineries have been added, and Fergana is one of the most important centers of oil production and refining in Uzbekistan. Natural gas from western Uzbekistan is transported by pipeline to the valley, where it is used to produce fertilizer. Thus, the Fergana region is one of the leader in the republic on oil extraction and processing, power generation, production of fertilizers, chemical fiber, marble, machine-building, construction materials limestone, gravel, sand sulfur, ozekerit, cotton-ginning, silk-spinning and also production of grain, fruits, vegetables and many other agricultural products. The Fergana Valley was the most important irrigated cotton growing region of the former Union of Soviet Socialist Republics (USSR). Cotton growing and processing has been the dominant economic activity here for centuries, supplied by water from small streams flowing from the surrounding mountains. The Great Fergana Canal, built almost entirely by hand during the 1930s, passes through the northern part of the city. The history of the city dates back to 1877. Fergana was founded as a garrison town by the Russians after they captured the khanate of Kokand. It was decided to build a new city 12 km from the old town of Marghilan. It was first named New Margelan, then renamed Skobelev in 1907 after the Russian in charge of the capture of Kokand. It has been called Fergana since 1924. 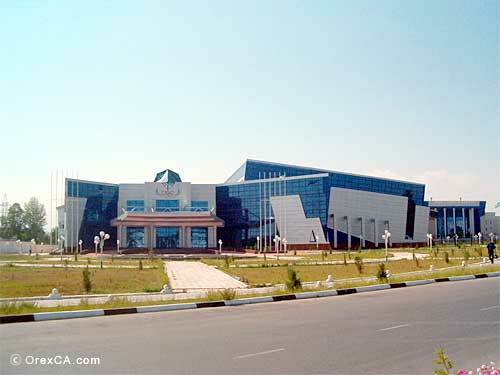 At present Ferghana is an important industrial centre of Uzbekistan. 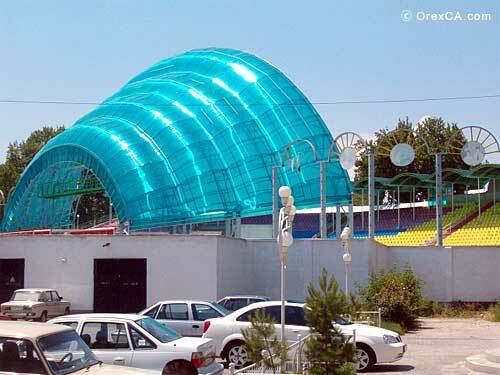 Regarding the capacity of production Ferghana stands on the second place in Uzbekistan after Tashkent. Rishtan is 50 km to the west of Ferghana City. Since ancient times Rishtan was famous for its ceramics. There are deposits of red clay, natural minerals and abundance of mountainous vegetation that is needed for painting process. Rishtan artisans became famous all over the world for their technology of ceramic production.